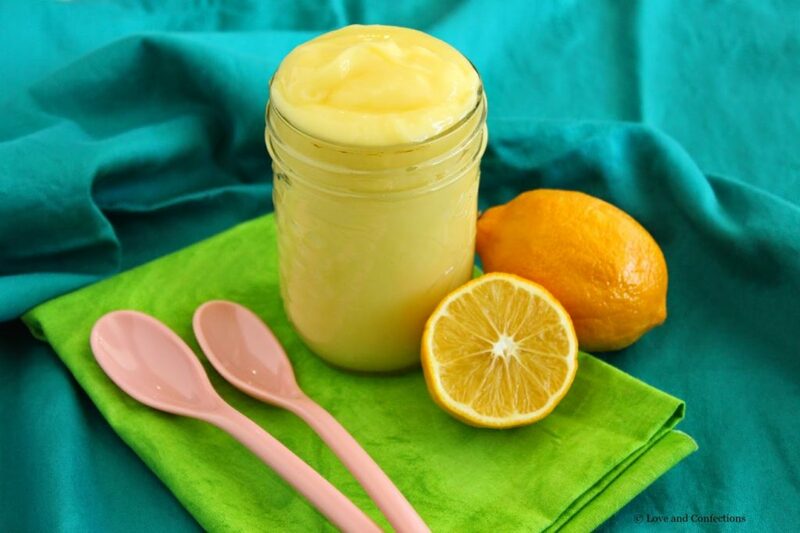 Meyer Lemon Curd is slightly tart, deliciously sweet and all around perfect to brighten your day. While some people have snow still on the ground, here in Florida, Spring has arrived and it has been pretty nice for the past week. We are actually in the upper-80’s right now and with the time change there are sure to be lots evening walks and grilling outside often. When I think of Spring, the color yellow comes to mind. 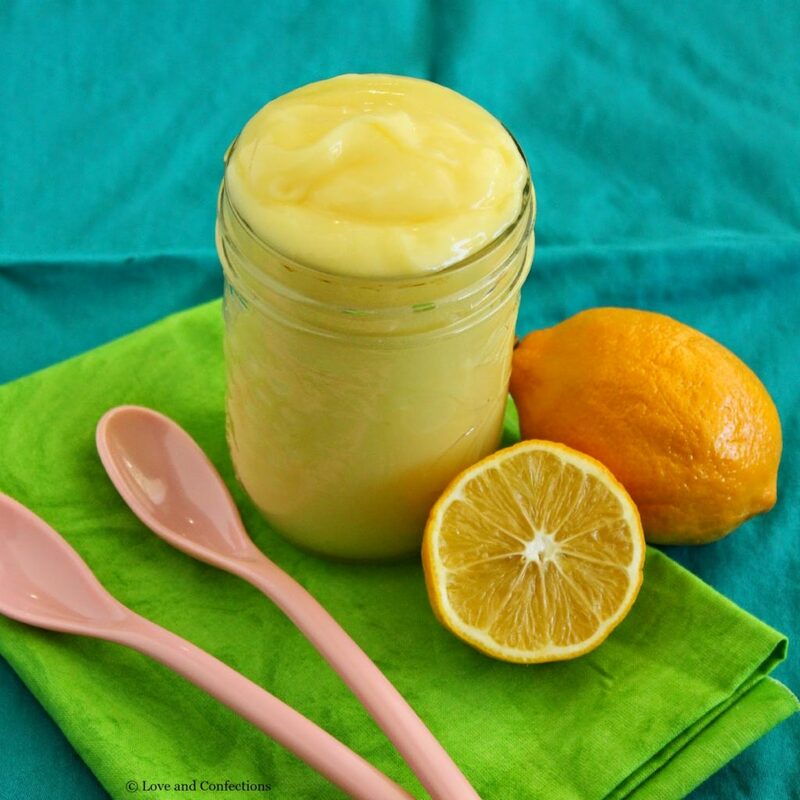 One of my favorite bright, flavorful and yellow fruits are lemons – perfect for Spring! I absolutely love curds, like my Key Lime Curd, that I use in ice cream. Lemon Meringue Pie Ice Cream is divine! 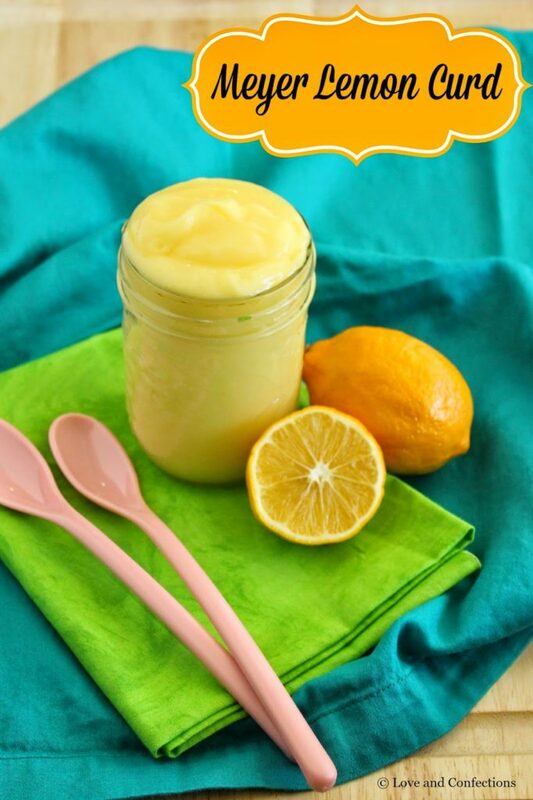 There is just something magical about whisking eggs and lemon juice… my mouth is watering just thinking about it. 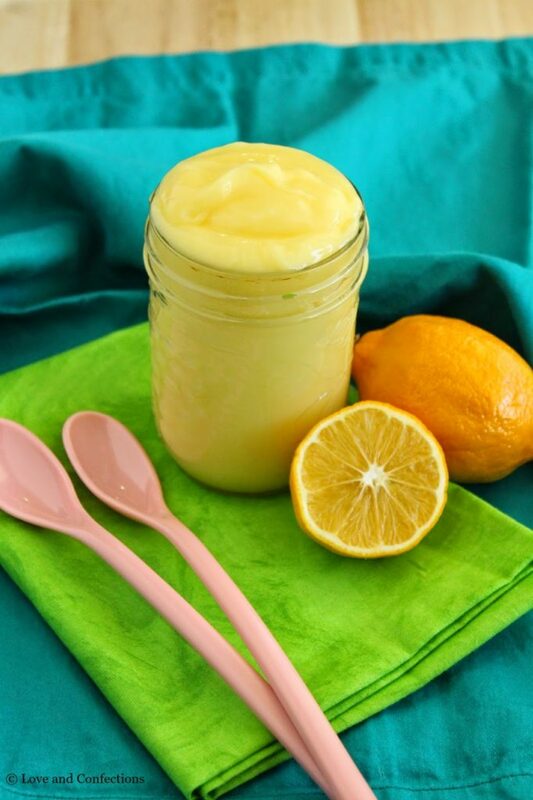 I can just eat lemon curd with a spoon, it’s that good. I also add it to my breakfasts and desserts. Lemon Blueberry Parfaits are a great way to start your day, and Lemon Meringue Tartlets are the perfect after dinner treat. I can’t wait to share with you what I created with this batch of curd – for that you’ll have to tune into next week! 1. In a medium saucepan, combine the Meyer Lemon Juice, Unsalted Butter and first measurement of Sugar. Whisk to combine and cook on medium to medium-high until sugar has dissolved and mixture is just simmering. 2. Right before the liquids boil, whisk together the second measurement of Sugar, Corn Starch and Eggs in a bowl big enough to hold the liquid and egg mixtures. 3. Temper the eggs: slowly pour the hot liquid, in a small stream, into the bowl while constantly whisking the eggs. Pour the mixture back into the pan and heat on the stove until it is thick and almost boiling. 4. With a sieve, strain the curd into a clean bowl to insure no overcooked eggs get into the curd. Place plastic wrap onto the surface of the curd and let it cool for 30 minutes on the counter, then refrigerate it until it is thoroughly chilled.